Here are the Hot Jobs in the New Bedford area from the NewBedfordGuide.com jobs database, as of Vovember 4, 2018. Click the right arrow to browse the next job. Want your job listed here? Contact leo@newbedfordguide.com. Serving the customer is always the top priority regardless of work area. Seasonal associates assist in multiple areas of the store including setting floorsets and/or cleaning, processing, replenishing, cashiering, and selling. • We prepare real food by hand every day in our restaurants. No freezers, microwaves or can openers to be found. • We welcome experienced restaurant professionals and novices alike. We’ll provide the training you need to feel confident working at any station – grill, cashier, prep, salsa and expo. We take pride in our exceptional customer service and it’s up to each of our team members to create the friendly atmosphere that our customers expect and enjoy. So, whether you have experience as a dishwasher, cashier, server, host, bartender, cook, prep cook, FOH/BOH or no experience at all, we’re always looking for passionate and enthusiastic people to join our team. • At Chipotle, you’ll be part of a team that is working to cultivate a better world. If that sounds like something you would like to be a part of, apply today. • Receive up to $5,250 from Chipotle in tuition assistance and up to $5,185 in federal grants each year. Combined with up to 44 earned credit hours from on-the-job training at Chipotle, you could earn your degree for as little as $250 a year. Are you a People Person? Then you’re an AT&T Person! Do you like helping people? Do you have a strong desire to connect people with technology and entertainment? You may have what it takes to join our amazing team! Our Retail Sales Consultants build solutions for our valued customers and meet/or exceed key sales objectives. They work with a full portfolio of awesome products including wireless, connected car, and wearables. They also offer integrated, seamless, and smart entertainment options including DIRECTV & DIRECTV NOW. Prior retail or customer-facing sales experience is a plus but not required. AT&T Sales training will be provided. You may be invited to complete an interview by recording a video, so make sure to watch your email for updates. Apply now! A full-time position is available within our Intensive Group Home Program. This position will work as part of a team with five other Clinical Care Managers to provide clinical and care coordination services to youth; provide individual and family therapy; facilitate psychoeducational groups; develop behavior support plans with family and staff; provide ARC-based therapeutic support in the milieu; chair Individual Treatment Plan meetings; participate in after hours on-call rotation for clinical issues; provide consultation for program staff. Flexible hours required including one early evening. MSW/MA degree in clinical area with 1 to 2 years direct clinical experience required; independently licensed or license-eligible. Valid driver’s license is required. Benefits include health and dental insurance, Vision Plan, 10 holidays, 4 weeks paid time off, 403B with employer match, dependent care assistance, tuition assistance, and wellness benefit. Supervision for licensure, significant professional development, and training opportunities are available. We encourage Spanish and Portuguese speaking individuals to apply. We seek culturally competent, strengths-oriented personnel who possess an understanding of our communities served. 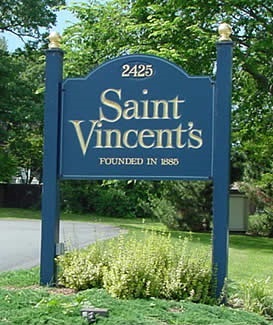 St. Vincent’s is an AA/EOE and a COA Accredited Agency. About us: Saint Vincent’s works with children, youth and families to restore relationships and support family permanence. Our staff provides in-home and community-based services, and outpatient behavioral health for children, youth and families. Emphasis is on trauma-informed, family-centered, compassionate care while Working with Children and Families to Preserve Hope. New England Farms is hiring for full and part-time associates for their new location at 207 Theodore Rice Blvd. in the New Bedford Industrial Park which includes the deli/Pizza Hut express. Founded in 1998, New England Farms finds the best locations, builds the best, cleanest facilities, and supports them with an exemplary staff delivering great brands. What sets us apart is our customer service. Want to be part of a growing team? A potential applicant should be reliable, dependable and honest. Cash handling and/or deli experience is a plus but not necessary. Salary will be determined based on experience. To apply visit New England Farms online. You can also send resumes to tprattjr@ne-farms.com. Please specify in the “Notes” section of the online application or in the email which location and position with which you are interested. • Leominster – 180 Central St.
• Middleboro- 447 Wareham St.
• New Bedford – 207 Theodore Rice Blvd. • South Carver – 303 Tremont St.
Join the loudest store in the mall! We’re looking for music and pop culture fanatics to help create the best experience for our customers. As a Hot Topic Sales Associate, you’ll be a huge part of our success by providing the best customer service, ensuring that fellow fans are able to get their hands on the Merch they love. You’ll share your fandom knowledge, stock and replenish product, and help merchandise the store in a visually appealing way, all while being hyper focused on the in-store experience. • Previous experience working in a retail environment. If you love music and pop culture, you’re in the right place! Discover what’s right for you. At Wendy’s, you’ll find a fast-paced, high-energy environment where everyone on the team works together, and also knows how to have fun! If you’re interested in a position that rewards your commitment, then Wendy’s is right for you. We encourage you to complete our application process and look forward to discussing your place on the Wendy’s team. The responsibilities and qualifications described above are for positions at Wendy’s International, Inc. company-owned and operated restaurants. A large percentage of Wendy’s restaurants are independently owned and operated franchised Wendy’s restaurants. Job descriptions, compensation, benefits and other employment terms and conditions applicable to positions at independent franchised Wendy’s Restaurants will vary and are determined solely by the Franchisee. Our candidate has a strong customer focus, initiative, and a can-do attitude. We’re looking for real team players who can take and receive direction well and accomplish many tasks during one of our action-packed shifts. Whether you’re wearing a headset and manning the drive-thru, greeting customers and running the register, preparing menu items, loading stock or keeping the restaurant clean and inviting, your accuracy and attention to detail are qualities that will make you a star player on the Wendy’s team. Target is one of the world’s most recognized brands and one of America’s leading retailers. And when you hear people say, “I love Target” they’re usually talking about visiting one of our 1800+ stores. Right now, we’re looking for seasonal team members to help us create that great experience for our guests during the busiest time of our year – the holiday season. Help us keep the store looking great, clean and organized, and assist guests as they search for that perfect gift. To Apply: Visit www.targetseasonaljobs.com to inform us of your interest. Select “apply now” to apply online. Enos Home Oxygen Therapy is currently seeking to fill part-time and full-time Customer Service Representative positions. Interested candidates can apply via email by sending your resume to employment@enoshomemedical.com or call to set up an interview at 1-800-473-4669. • Answers incoming phone calls (within a minimum of 3 rings) in a pleasant and professional manner- takes customer orders. • Maintains open communication with patients/clients and referral sources. • Responds to patient/client questions and problems. • Assists in preparing driver routes, logs route changes, and driver communication on route sheets as they occur. • Sets up new patient/client files. • Verifies private insurance, Medicare, Medicaid coverage. • Pulls and keys orders into the computer. • Prepares invoices for the following day’s route deliveries. • Types follow-up referral letters. • Graduate of an accredited high school. • Typing and 10-key skills. • Excellent organizational and communication skills (verbal and written). • Ability to maintain confidentiality and resolve conflict effectively and professionally. • Responsible for assisting with the complete operations of assigned store, in conjunction with assigned tasks and duties. • Assist in the merchandising of the store. • Fully cross-trained to assist with cash register operations, customer service and stock replenishment. • Handle all sales transactions while operating assigned cash register. • Maintains security of all cash. • Protects all company assets. • Maintains a high level of good customer service. • Maintains a pleasant, friendly, cooperative attitude with customers, co-workers and supervisors. • Assist with unloading trucks. • Works in a safe manner. • Adheres to and upholds policies and procedures. • General math skills to allow for cash accounting. • Strong verbal communication skills to allow for proper interaction with customers. • High level of integrity and honesty; will be responsible for handling cash. Pizzas made in 1 min. or less? Oh yes we do! Looking for High Energy Candidates to keep up with the pack of being #1. Have a great smile and positive attitude? Do you like a Team atmosphere? Entry level to experienced pizza maker/ counter help positions available. Pay based on experience and performance. Full and Part Time is available. Paid training. Do you have what it takes? Performance incentives offered. Join this dynamic store team and you will have the opportunity to perform a wide range of retail functions ensuring that the customer is always our #1 priority. As a Customer Service Associate, you’ll perform placement and replenishment of merchandise on the selling floor, complete price changes, set up sales, and fill customers’ on-line orders. As the holiday season progresses, you’ll create an exceptional shopping experience by engaging with customers, completing register transactions and delivering a clean, neat, and easy to shop environment. No prior experience is required. Seasonal Customer Service Associates should have excellent communication skills, enjoy engaging with customers, and be comfortable using technology. Along with a strong sense of urgency, he/she should possess the ability to work both independently and as part of a team. This position involves standing for at least two consecutive hours, and involves lifting at least 30 lbs. Must be available to work a flexible retail schedule, which may include day, evening, weekend and/or holidays, based on department and/or store/company needs. This job overview is not all inclusive. In addition, Macy’s, Inc. reserves the right to amend this job overview at any time. Macy’s is an Equal Opportunity Employer, committed to a diverse and inclusive work environment. • You’re a fun and friendly person who values customers and takes absolute pride in everything you do. • You like talking – a lot – even to strangers (despite what your Mom told you). This is important, because you’re not able to text message customers. • You’ve got attitude – the right kind of course – and understand the need to be on time, all the time. With loads of energy, you understand that work is easier – and more fun – working as a team. • And you’re at least 16 years old. Fabricates and installs all related piping as pertaining to water distribution and sewage collection systems. Cuts, bends, threads, assembles and joins water piping and fitting made of copper, brass, lead, cast iron, steel, plastic or other composition; threads pipe using threading machine; cuts pipe using pipe saw, joins piping and fixtures by means of threaded, caulked, wiped, bell and spigot, soldered, brazed or cemented joints; installs and checks valves, hydrants and other wastewater and water system accessories. Installs manholes, catch basins, shoots grade utilizing pipe lasers and related survey tools to establish a grade. Subject to call 7 days per week, 24 hours per day for emergency work, to fill in on emergency watch, holidays, sickness and vacations. Vocational or high school graduate or GED equivalent. Experience in excavation and pipe installation preferred. Possession of a D-1 certification and knowledge of collection systems preferred. Possession of a valid Massachusetts driver’s license and good driving record. Operates a motor vehicle on a regular basis. Mandatory CORI (Criminal Offender Record Investigation) background check per City Council Ordinance effective May 14, 2013. This position is deemed essential personnel and must report for duty during emergency situations. Manages contaminated site projects at City properties. Coordinates with environmental consultants and engages in community outreach. Interfaces with the public to address concerns regarding impacted properties. Coordinates contaminated site assessment and cleanup activities. Integrates the efforts of consultants and City staff to ensure that environmental projects are conducted efficiently and cost effectively. Represents the City’s Environmental Stewardship Department in regulatory, academic, and legal fora. Attends meetings with regulators, presents projects and results at conferences and participates in environmental research conducted in New Bedford. Assists with environmental litigation. Bachelor’s Degree in engineering, geology, environmental studies or a related discipline. At least four (4) years of experience in the engineering, geology, environmental studies, or related subject or any equivalent combination of education and experience. Mandatory CORI (Criminal Offender Record Investigation) background check per City Council Ordinance effective May 14, 2013. Provides custodial and minor maintenance functions for municipal buildings. Cleans, dusts, sweeps, buffs and washes floors; washes windows; changes light bulbs; polices grounds; sweeps sidewalks; mows lawns; removes snow and ice; maintains custodial equipment; empties waste receptacles; operates low pressure heating and ventilating systems; orders custodial supplies; makes minor repairs to buildings, facilities, equipment, and heating, lighting, ventilation, and plumbing systems; performs related work in all assigned areas as required. Moves and sets up furniture and equipment. Possession of a valid Massachusetts driver’s license and good driving record. Operates a motor vehicle on a regular basis. Mandatory CORI (Criminal Offender Record Investigation) background check per City Council Ordinance effective May 14, 2013. For more information please visit: www.newbedford-ma.gov. Manages all Police computer network, servers and equipment; installs and maintains department computers, printers, servers, cameras and radio equipment. Monitors and troubleshoot end user problems with software, hardware and network. Maintains a variety of Microsoft based databases and data in department storage. Performs ongoing review of existing systems’ software and hardware, and researches and quotes new software, hardware and equipment to serve the needs of the department. Oversees upgrades to 911 systems. Oversees and develops camera and video surveillance technology and analysis of emerging technology. Investigates and resolves computer software problems of users; talks to users to learn procedures followed and source of error; answers questions, applying knowledge of computer software and procedures; researches problem and finds solution. May be required to work nights and weekends as needed to complete project tasks or handle emergencies as they arise. Bachelor’s Degree in computer science or a related discipline. At least three years of experience in computer science, computer programming, software or related work experience. Any equivalent combination of education and experience. Considerable knowledge of local area networks, Windows Server 2008, SQL Server 2005 & higher, vmware Virtualization, Active Directory, PowerShell, TCP/IP, SMTP, SNMP, DNS, DHCP, HTTP, FTP, Cloud Computing, Exchange 2010, SAN Storage, McAfee virus, Tyler Technologies, IMC Software, MUNIS Software and in surveillance camera technologies. • Assist Waste Reduction Coordinator and Assistant Waste Reduction Coordinator on waste reduction efforts in New Bedford & Dartmouth. • Responsibilities include answering incoming phone calls, returning phone calls from voicemail messages, educating the general public in person, distributing flyers, posting on social media, data entry in Excel, and assisting in the office. • Has frequent contact with residents. • Occasionally delivers recycling carts and bins to City buildings and businesses using a District pick-up truck and helps with errands. • Assist with office work (e.g. copying and mailings). • Work on special projects relating to waste reduction programs. • Works flexible hours including some weekends. • Knowledge of New Bedford and Dartmouth waste reduction programs. • Ability to maintain accurate records; attention to detail is important. • Skilled in operation of computer (including Microsoft Office software and performing Internet searches), telephone, photocopier, and fax machine. • Proficiency or ability to become proficient in the use social media including Facebook, Twitter, and Instagram. • Must possess a valid Massachusetts motor vehicle operator’s license and have a good driving record. • Must have neat handwriting. • High school diploma. At least one year experience in an office setting and experience speaking with the public is desirable. • Knowledge of Spanish or Portuguese is desirable. • Frequently must be able to remain seated in an office or stand or walk for up to 3 hours; Must be able to listen to and clearly communicate verbally and in writing with employees and the public; Must have eyesight and hearing at or correctable to normal ranges; Ability to operate a keyboard at an efficient speed. Applicants must submit a completed, signed application to be considered. Employment Application. Inspects and maintains the runways, taxiways and other paved and non-paved areas on and off the airfield in accordance with FAR part 139 regulations. Paints airfield and landside markings. Repairs runway and taxiway lights; airfield and landside mowing, weed eating, tree cutting and grading. Conducts mandatory day/night airfield and wildlife inspections. Issues Digital NOTAMS. Acts as part of an integrated security system. Removes snow airside and landside. Maintains grounds, structures and facilities. Performs general custodial and maintenance work in and around buildings. Landscapes, removes trash, changes light fixtures, paints; general cleaning duties (vacuum, dust, wash windows, clean restrooms). Provides escorts as needed. Must communicate professionally on company and FAA radios. Assists in any emergency or incident at the airport. High school graduate or GED equivalent. One year of previous paid experience preferred. Must pass training programs issued by the Airport Manager and required security background check. (TSA mandated – finger prints and a 10-year background check). Must be familiar with Microsoft Word, Microsoft Outlook. Ability to issue Digital NOTAM System. Ability to issue “Notice to Airmen” field condition reporting. Log all needed Veoci and Lucity-reporting work orders. Must attend mandatory annual on-the-job trainings in compliance with FAR part 139 regulations. Must possess and maintain a valid Massachusetts driver’s license. Must possess and maintain a valid Class B CDL license and a 2B and 4G Classification Hoisting license or be able to obtain said licenses within 180 days of employment. This position requires availability of nights and weekends. The airport is open 7 days a week, 24 hours a day. Normal staffing hours are from 6:00a.m. to 11:15p.m. daily.